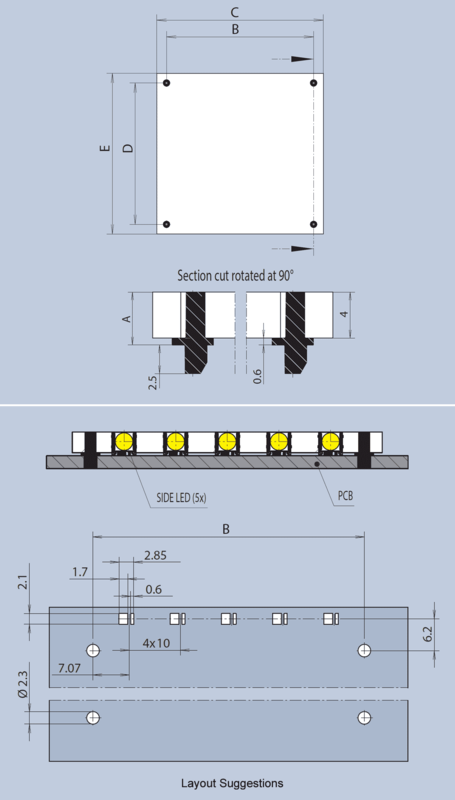 The M-CUT area light guide utilises transparent PMMA sheet with MENTOR-specified diffuser particles and is designed for use with SIDELEDs located along (normally) one edge of the light guide. This area light guide provides, high-quality, homogenous custom background illumination for logos, graphics or information signage. 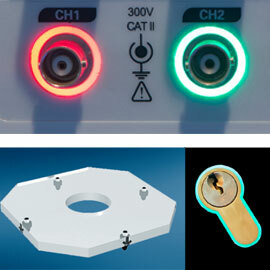 Installation is carried out by simply pressing the locating pins into the printed circuit board. Measurements C and E can be adjusted to the customer‘s requirements. Individual 2D free geometrical forms are also possible. Central square or circular cut-outs can be accomodated whilst still providing homogenous illumination. Rim lighting is also achchieble via this no-tooling, low MOQ (300pcs) method.